In Japan, a tea house offers a welcome break from the stresses of everyday life. It’s a place where you can meet friends for leisurely conversation and the authentic ritual of green tea preparation and refreshment. Gen Sou En Tea House brings this rich cultural tradition to Boston, adding a modern bar and a full-service restaurant. In both our café and our full-service restaurant, we seamlessly blend traditional green tea preparation with a Japanese-inspired menu that includes tea-infused specialties like matcha-dusted salmon and matcha mint fondant. Enjoy breakfast or a casual lunch at the café, inventive sake cocktails and small plates at our bar, or an elegant meal at our restaurant—each is a unique experience that delivers on the tradition of tea house hospitality. Gen Sou En was clean, comfortable, and inviting - the restaurant and the cafe portion both seemed nice, and the food and drinks were tasty and well-priced. I was happy to stay and spend a few hours enjoying the atmosphere and the menu. Gen Sou En is definitely the place to go for authentic Japanese food and beverages in Brookline! This tea house has such a lovely atmosphere and many different dining configurations. This visit we ate in the little Oasis around the tree under the skylight. Previously I ate at one of the tatami area's sunken tables, and on the edge of the tatami at a table. It's really versatile--from casual cafe conversations to dating and dining. The presentation is lovely but more importantly the food is great! And I say that as someone who does not love matcha. the atmosphere has changed from the past- its much more busy and they added tables which gives it a restaurant vibe. In the past it felt much more chill and niche Japanese style Feng shui... but I guess that's what happens when you become popular. I just hope they have plans to expand and open new locations with more space to accommodate the rush while also staying true to their original style. My colleague and I didn't even realize that this restaurant was around the corner from us until I was given this Nift certificate, and we just found our new favorite place! Gift card was only for retail products, while the shop is focused around sit-down or cafe service. However, I was able to find something I wanted. It was excellent! I am going back this week. Beautiful plating and the food was delicious! It had a great environment service and food. Authentic and fair priced. The place is very well located. loved this place! amazing ambiance! Our lunch at Gen Sou en Teahouse was excellent. We had Matcha Dusted Salmon and Sesame Crusted Tuna. Both had sophisticated spicing, a variety of fresh ingredients, as well as excellent plate presentation with each entree built in visually appealing layers and excellent sauces. Unfortunately, the service was uneven with some confusion on our order and how to apply the Nift certificate. A manager was quite apologetic and explained they were short staffed that day. We will definitely return. Ambiance is great, but food and cleanliness of foodware did not live up to Japanese standards. Tea ware does not insulate well, hot tea becomes cold quickly. Remake prettier drinks for media coverage purpose, normal guests get rushed, ugly handmade drinks. The decor was nice, with a peaceful atmosphere upon entering the tea shop. The food was great, though the traditional matcha was a bit bland and watery. The staff was extremely helpful and I enjoyed the tea I bought! Some of the best japanese food i’ve had in Boston. Love this tea shop! Only got coffee and tea here but because of the Nift gift card, I bought my own bag of Matcha tea, which I wouldn't originally have done. It's so good and will be buying more! I enjoyed the ambiance at the house. We ordered three items on the lunch menu and enjoyed the chicken karage and the rice balls. Portions were great. The salmon dusted with matcha was not very flavorful. Presentation was good, but I thought the salmon tasted bland. I would have preferred a teryaki sauce or honey sauce of some kind. Beautiful space inside, and very relaxing. 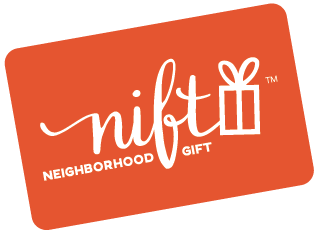 It was weird to have the Nift only be for retail merchandise when the place was a cafe/restaurant and they only had a handful of retail items. Would have much preferred being able to try out the cafe items! Looked nice though, and I may be back to try it out. The teahouse was lovely. Servers were attentive, food was tasty and the music acts played beautifully and with great stage presence. Food was great. Portion size was a bit small for the price but quality of the tuna I had was good. Will certainly go back for more. The place was nice and the lady at the till tried to be helpful ! The retail items are not priced, which is awkward. Also, the new seating is not optimal or friendly. But the tea is good. The customer service was superb. The aesthetics of the restaurants were facisnating along with the food. I’ll definitly return! The layout was a little confusing. There’s a dine in section and a cafe section but the areas are not marked and there are only specific spots you can sit in. And the hosts don’t explain it to you when you get in. They treat you as if you’ve been there before but to first time customers like me it can be confusing. the customer service was very nice. overall nice spot in every way. It’s a lovely place, with good tea and food. The environment is really nice.